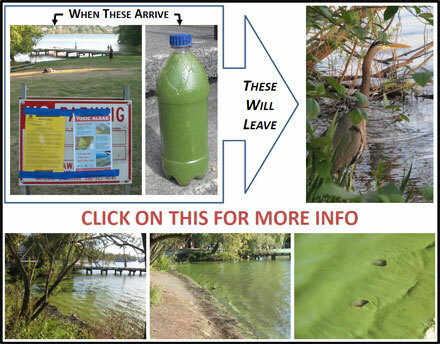 On September 12, toxic green algae caused the Health Department to close Green Lake again to swimming and nearly all water activities. It continues to be closed. This is a repeat of closures in 2012 and 2013. Funding for treatment is in the Mayor’s Proposed Budget, but it is competing with many other needs. See details on Seattle City Council Budget Hearings on the City Council website or Councilman Licata’s blog. Send written comments or letters if you cannot be there. Inform the Council that toxic algae and lake closures at this well loved, heavily used lake are intolerable. Tell them about any personal experiences. Write about FOGL for blogs, newsletters, etc. 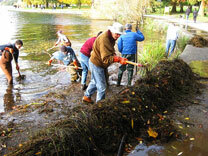 Updates about FOGL meetings, urgent issues, and details affecting Green Lake. FOGL meets at 7:00 PM in the Board Room of The Hearthstone on the fourth Tuesday of odd numbered months. GLCC meets at 7:00 PM at The Hearthstone Chapel (address above) on the second Wednesday of odd numbered months.